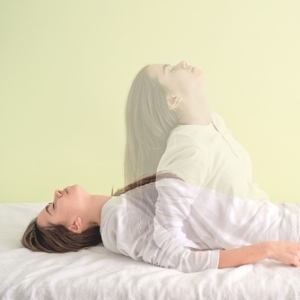 For centuries, astral projection has allowed people to explore far beyond their own physical bodies. Despite the long life of this practice, however, it remains elusive for many people. Discover how an astral rope can help you project and explore the limits of your consciousness. As with most psychic practices, the key to a successful experience starts with relaxing your mind and body and opening yourself up to unexpected new encounters. Begin with a meditation method that works for you, or engage in deep-breathing exercises that melt away the stress of the day. Let your mind focus on a recent online dream interpretation, and prepare yourself to enter an alternate dream world. No matter how you approach a state of calmness and openness, though, you’ll want to be sure to erase the tension from both your mind and your body. Once you’ve opened your mind, take it one step further and approach a hypnotic state in which you’re just at the edge of sleep. You’ll know you’ve achieved this trancelike state when you can envision a particular object with your eyes open and closed. When you’ve truly embraced the hypnotic state, you’re ready to fall into deep relaxation. With your eyes closed, continue to visualize your object of choice. Instead of opening your eyes to complete the cycle, however, keep them closed and peer into the darkness of your mind. Don’t allow yourself to become distracted by lights, and instead descend into a deeper state of relaxation. While you might be accustomed to achieving deep relaxation, transitioning into the vibration stage can be challenging for beginners. Instead of expecting a particular revelation or vision, simply allow yourself to experience the feeling of the vibrations and understand that your astral body has begun to lead the way. After acknowledging the power of the vibrations, try to control them. This might not be possible at first, but it’s important to learn how to regulate vibrations before pursuing astral projection frequently. Next, channel all your willpower into imagining a heavy rope right above you. With your eyes still closed, envision reaching toward the astral rope and grabbing ahold of it. Using this rope to ascend to the next plane is the key to astral projection. If you’ve mastered this step, visualize yourself climbing the rope and giving your astral body full reign. If you’re not there yet, take a step back and gradually stop the vibrations. Once you’ve slowed the vibrations and reawakened, allow yourself to return to consciousness. Before repeating the process, take a moment to reflect on your experience reaching for the astral rope. A psychic chat online can be a helpful tool for exploring and discussing your sensations further. Whether you struggle with astral projection or you’re new to the practice, add the astral rope to your array of methods. This safe technique can get you started down the path toward astral projection and can inspire you to visit places you’ve only dreamed about.